We have two children’s choirs – our cherub choir, which starts as young as age 3, and our junior choir, for children through high school. 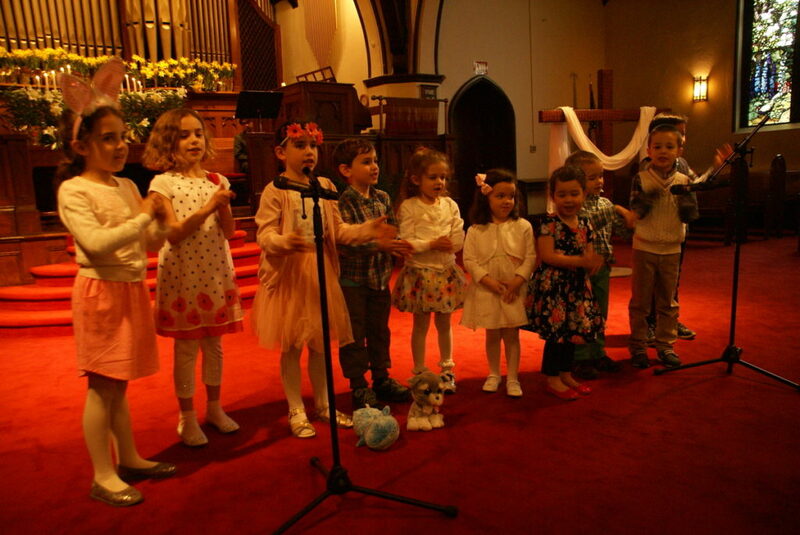 At times the cherub and junior choirs sing together, while other times they perform separately. Sometimes our youth singers give solos, and several of the children in our youth choirs have continued to sing throughout their lives—in college groups, in an opera company, and other venues. It is gratifying that the experience of singing at a church service or concert lasts a lifetime. The kids love practicing for their performance with Fimi during Sunday School. They come home singing the tunes they learned at Church, and it’s especially nice to sing songs together that we parents learned when we were kids as well!